Mercedes Vazquez Salazar, 84, born on December 10, 1934, in Guanajuato, Mexico, passed away April 7, 2019. She resided in Los Angeles, California at the time of her passing. Arrangements are under the direction of Forest Lawn, Glendale, California. Napoleon S. Garcia, 67, born on December 8, 1951, in Badoc, Ilocos Norte, Philippines, passed away April 6, 2019. 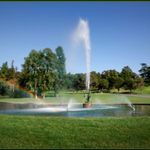 He resided in San Marino , California at the time of his passing. Arrangements are under the direction of Forest Lawn, Glendale, California. Yvonne Elba Wasson, 77, born on March 11, 1942, in Guayaquil, Ecuador, passed away April 6, 2019. She resided in Rancho Cucamonga, California at the time of her passing. Arrangements are under the direction of Forest Lawn, Glendale, California. Maria Belen Pis, 89, born on November 8, 1929, in Havana, Cuba, passed away April 4, 2019. She resided in Glendale, California at the time of her passing. Arrangements are under the direction of Forest Lawn, Glendale, California. Lillian Wong Lee, 95, born on June 18, 1923, in San Francisco , California, passed away April 3, 2019. She resided in Monterey Park, California at the time of her passing. Arrangements are under the direction of Forest Lawn, Glendale, California. Rita Perez Soto, 95, born on May 22, 1923, in Ciudad de Delicias, Chihuahua, Mexico, passed away April 3, 2019. She resided in Los Angeles, California at the time of her passing. Arrangements are under the direction of Forest Lawn, Glendale, California. 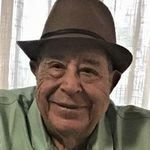 Richard Oral Woolard, Sr., 86, born on June 4, 1932, in Joplin, Missouri, passed away April 2, 2019. He resided in Calabasas, California at the time of his passing. Arrangements are under the direction of Forest Lawn, Glendale, California. 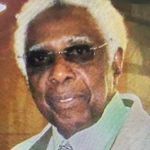 Levan Jordan, 94, born on March 21, 1925, in Esfahan, Iran, passed away April 1, 2019. He resided in Glendale, California at the time of his passing. Arrangements are under the direction of Forest Lawn, Glendale, California. Marcellus Nance, Jr., 68, born on October 16, 1950, in Clovis, New Mexico, passed away March 31, 2019. He resided in Los Angeles, California at the time of his passing. Arrangements are under the direction of Forest Lawn, Glendale, California. Shige Kishiyama, 92, born on November 2, 1926, in Los Angeles, California, passed away March 30, 2019. He resided in Glendale, California at the time of his passing. Arrangements are under the direction of Forest Lawn, Glendale, California. Catalina Sandoval, 73, born on November 1, 1945, in Periban de Ramos, Mexico, passed away March 30, 2019. She resided in Los Angeles, California at the time of her passing. Arrangements are under the direction of Forest Lawn, Glendale, California. 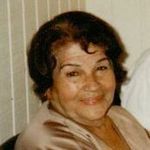 Juana Anacleta Hernandez, 98, born on August 26, 1920, in San Vicente, El Salvador, passed away March 30, 2019. She resided in Los Angeles, California at the time of her passing. Arrangements are under the direction of Forest Lawn, Glendale, California. Mary Yeghia Soukiassian, 87, born on October 31, 1931, in Baghdad, Iraq, passed away March 27, 2019. She resided in Glendale , California at the time of her passing. Arrangements are under the direction of Forest Lawn, Glendale, California. Haydee Plasencia, 97, born on August 6, 1921, in Placetas, Cuba, passed away March 27, 2019. She resided in Rialto, California at the time of her passing. Arrangements are under the direction of Forest Lawn, Glendale, California. Josefina "Josie" Navarro Telebrico-Salle, 78, born on February 20, 1941, in Philippines, passed away March 26, 2019. She resided in Los Angeles, California at the time of her passing. Arrangements are under the direction of Forest Lawn, Glendale, California. William Arthur Hartman, 88, born on February 28, 1931, in Sioux City, Iowa, passed away March 26, 2019. He resided in Glendale, California at the time of his passing. Arrangements are under the direction of Forest Lawn, Glendale, California. 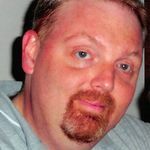 Mark Dacre Valencia, 50, born on March 7, 1969, in Los Angeles, California, passed away March 26, 2019. He resided in Los Angeles, California at the time of his passing. Arrangements are under the direction of Forest Lawn, Glendale, California. Rolando L. Lisam, 70, born on December 11, 1948, in Manila, Philippines, passed away March 26, 2019. He resided in Los Angeles, California at the time of his passing. Arrangements are under the direction of Forest Lawn, Glendale, California. Angela Michelle Knight, 40, born on March 2, 1979, in Pasadena, California, passed away March 25, 2019. She resided in La Crescenta, California at the time of her passing. Arrangements are under the direction of Forest Lawn, Glendale, California. Rolando Castillo Sercena, 71, born on May 8, 1947, in Umingan, Pangasinan, Philippines, passed away March 23, 2019. He resided in Arleta, California at the time of his passing. Arrangements are under the direction of Forest Lawn, Glendale, California. Jennifer Desear Pascual, 43, born on July 22, 1975, in Manila Philippines, passed away March 23, 2019. She resided in Monterey Park at the time of her passing. Arrangements are under the direction of Forest Lawn, Glendale, California. 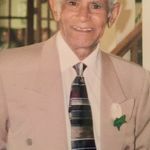 Karam S. Dhaliwal, 89, born on January 3, 1930, in Darbhanga, India, passed away March 23, 2019. 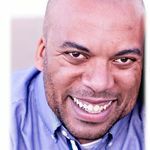 He resided in Porter Ranch, California at the time of his passing. Arrangements are under the direction of Forest Lawn, Glendale, California. Jyotikaroy Dilipkumar Lavingia, 60, born on June 5, 1958, in Zanzibar, Tanzania, passed away March 23, 2019. She resided in Ontario, California at the time of her passing. Arrangements are under the direction of Forest Lawn, Glendale, California. Cipriana L. Cababaro, 95, born on September 26, 1923, in Zambales, Philippines, passed away March 22, 2019. She resided in Los Angeles, California at the time of her passing. Arrangements are under the direction of Forest Lawn, Glendale, California. Georgina Galarza Santos 100 years old , born on October 19, 1918, in Yauco, Puerto Rico, passed away March 21, 2019. She resided in Glendale, California at the time of her passing. Arrangements are under the direction of Forest Lawn, Glendale, California. 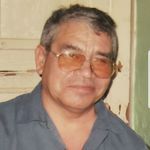 Jose Alfredo Hernandez, 78, born on May 17, 1940, in Zacatecoluca, El Salvador, passed away March 21, 2019. He resided in Los Angeles, California at the time of his passing. Arrangements are under the direction of Forest Lawn, Glendale, California. 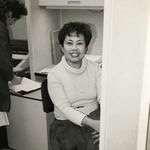 Pui Ha Hum, 83, born on May 29, 1935, in Canton, China, passed away March 21, 2019. 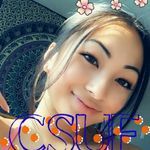 She resided in Chino HIlls, California at the time of her passing. Arrangements are under the direction of Forest Lawn, Glendale, California. Darryl Michael Maloof, 65, born on September 7, 1953, in Los Angeles, California, passed away March 21, 2019. He resided in Burbank, California at the time of his passing. Arrangements are under the direction of Forest Lawn, Glendale, California. Ralph Lawrence Schurr, 81, born on June 18, 1937, in Santa Monica , California, passed away March 20, 2019. He resided in Los Angeles, California at the time of his passing. Arrangements are under the direction of Forest Lawn, Glendale, California. 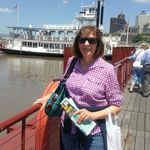 Kathleen Ann Valney, 65, born on November 25, 1953, in Pasadena, California, passed away March 19, 2019. She resided in Rancho Cucamonga, California at the time of her passing. Arrangements are under the direction of Forest Lawn, Glendale, California. Lewis Wayne Perry, 91, born on May 28, 1927, in Long Beach, California, passed away March 18, 2019. He resided in Montclair, California at the time of his passing. Arrangements are under the direction of Forest Lawn, Glendale, California. Bea Castro, 19, born on September 19, 1999, in Manila, Philippines, passed away March 17, 2019. She resided in Glendale, California at the time of her passing. Arrangements are under the direction of Forest Lawn, Glendale, California. 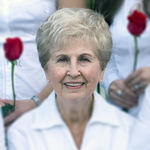 Sally Faith Strehlke, 82, born on April 18, 1936, in Los Angeles, California, passed away March 17, 2019. She resided in Rancho Palos Verdes, California at the time of her passing. Arrangements are under the direction of Forest Lawn, Glendale, California. Lucrezia Palazzolo, 91, born on January 5, 1928, in Cinisi, Italy, passed away March 12, 2019. She resided in Los Angeles, California at the time of her passing. Arrangements are under the direction of Forest Lawn, Glendale, California. 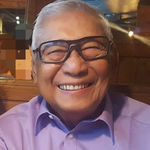 Cres C. Pimentel, 88, born on January 4, 1931, in Tarlac, Philippines, passed away March 11, 2019. She resided in Glendale, California at the time of her passing. Arrangements are under the direction of Forest Lawn, Glendale, California. Chungsun M Lee, 93, born on December 30, 1925, in Pyong Yang, Korea, passed away March 11, 2019. He resided in Los Angeles, California at the time of his passing. Arrangements are under the direction of Forest Lawn, Glendale, California. 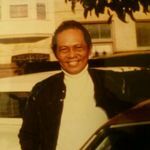 Reynaldo Martinez Carlos, 68, born on October 13, 1950, in Manila, Philippines, passed away March 10, 2019. He resided in Los Angeles, California at the time of his passing. Arrangements are under the direction of Forest Lawn, Glendale, California. 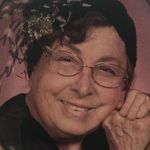 Nancy Dawn Simi, 81, born on August 17, 1937, in St. Paul, Minnesota, passed away March 8, 2019. She resided in Burbank, California at the time of her passing. Arrangements are under the direction of Forest Lawn, Glendale, California. Rosemary Duke Ward, 91, born on May 30, 1927, in Los Angeles, California, passed away March 8, 2019. She resided in San Marino, California at the time of her passing. Arrangements are under the direction of Forest Lawn, Glendale, California. Vernon Roy Quisido, 63, born on February 27, 1956, in Manila, Philippines, passed away March 6, 2019. He resided in Glendale, California at the time of his passing. Arrangements are under the direction of Forest Lawn, Glendale, California. Rafael Munoz Navarro, 79, born on October 17, 1939, in Manila , Philippines, passed away March 5, 2019. He resided in Los Angeles , California at the time of his passing. Arrangements are under the direction of Forest Lawn, Glendale, California. 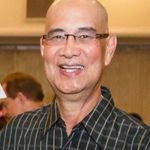 Anthony Shaek Suey Mah, 71, born on June 23, 1947, in Canton, China, passed away March 5, 2019. He resided in Duarte, California at the time of his passing. Arrangements are under the direction of Forest Lawn, Glendale, California. Consuelo ""Choling"" Dalupan Consing, 97, born on July 13, 1921, in Manila , Philippines, passed away March 4, 2019. She resided in Glendale , California at the time of her passing. 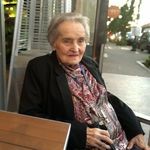 Ruth Olga Fults, 92, born on April 26, 1926, in Detroit, Michigan, passed away March 4, 2019. She resided in Sunland, California at the time of her passing. Arrangements are under the direction of Forest Lawn, Glendale, California. Romana Ramona Sosa, 92, born on August 31, 1926, in Cardenas, Cuba, passed away March 3, 2019. She resided in Glendale, California at the time of her passing. Arrangements are under the direction of Forest Lawn, Glendale, California. 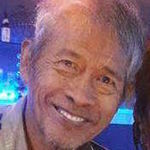 Jimmy Fegarido Guangga, 70, born on June 6, 1948, in Dingle, Iloilo, Philippines, passed away March 3, 2019. He resided in Pasadena, California at the time of his passing. Arrangements are under the direction of Forest Lawn, Glendale, California. Hoi Wong, 86, born on September 8, 1932, in Canton, China, passed away March 1, 2019. He resided in Alhambra, California at the time of his passing. Arrangements are under the direction of Forest Lawn, Glendale, California. 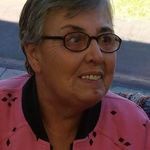 Julieta Margarita Huizar, 68, born on June 15, 1950, in Unknown, Mexico, passed away February 27, 2019. She resided in Lancaster, California at the time of her passing. Arrangements are under the direction of Forest Lawn, Glendale, California. 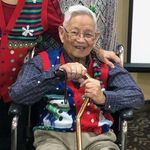 Iwao ""Jerry"" Omiya, 86, born on January 15, 1933, in Puuhoku, Molokai, Hawaii, passed away February 27, 2019. He resided in Los Angeles, California at the time of his passing. Arrangements are under the direction of Forest Lawn, Glendale, California. 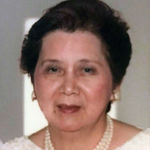 Marina M. Daigdigan, 83, born on March 3, 1935, in Manila , Philippines, passed away February 26, 2019. She resided in Pomona, California at the time of her passing. Arrangements are under the direction of Forest Lawn, Glendale, California. Angel Julio Frias, 78, born on April 12, 1940 in Manzanillo, Cuba, passed away February 24, 2019. He resided in La Crescenta, California at the time of his passing. Arrangements are under the direction of Forest Lawn, Glendale, California. Ivan Ernesto Rivas, born in San Salvador, El Salvador, passed away February 23, 2019. He resided in Lake Balboa, California at the time of his passing. Arrangements are under the direction of Forest Lawn, Glendale, California. 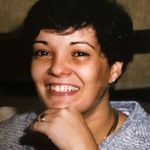 Dulce Maria Cruz Duenas, 61, born on May 28, 1957, in Havana, Cuba, passed away February 23, 2019. She resided in Los Angeles, California at the time of her passing. Arrangements are under the direction of Forest Lawn, Glendale, California. 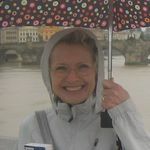 Patricia Morgan Lord, 62, born on November 19, 1956, in Glendale, California, passed away February 22, 2019. She resided in Long Beach, California at the time of her passing. Arrangements are under the direction of Forest Lawn, Glendale, California. Dolores Mary Saba, 91, born on January 7, 1928, in Los Angeles , California, passed away February 21, 2019. She resided in Encino, California at the time of her passing. Arrangements are under the direction of Forest Lawn, Glendale, California. Antonio Sangil Alfonso, 89, born on September 8, 1929, in Manila, Philippines, passed away February 21, 2019. He resided in Northridge, California at the time of his passing. Arrangements are under the direction of Forest Lawn, Glendale, California. Kum Ran Chong, 103, born on December 21, 1915, in Chuncheon, South Korea, passed away February 20, 2019. She resided in Torrance, California at the time of her passing. Arrangements are under the direction of Forest Lawn, Glendale, California. Pauline Palacios, 94, born on January 15, 1925, in Los Angeles, California, passed away February 20, 2019. She resided in San Dimas, California at the time of her passing. Arrangements are under the direction of Forest Lawn, Glendale, California. LiChen "Li Chen" Meng Soong, 95, born on June 10, 1923, in Shanghai, China, passed away February 20, 2019. She resided in Torrance, California at the time of her passing. Arrangements are under the direction of Forest Lawn, Glendale, California. Salvador Amezquita, 39, born on May 29, 1979, in Los Angeles, California, passed away February 19, 2019. He resided in Sun Valley, California at the time of his passing. Arrangements are under the direction of Forest Lawn, Glendale, California. Aurora E. Enriquez, 92, born on March 29, 1926, in Manila, Philippines, passed away February 19, 2019. She resided in Los Angeles, California at the time of her passing. Arrangements are under the direction of Forest Lawn, Glendale, California. Melvin Richard Jackson, 84, born on December 29, 1934, in Pollock, South Dakota, passed away February 18, 2019. He resided in Glendale, California at the time of his passing. Arrangements are under the direction of Forest Lawn, Glendale, California. Florencia Del Mundo Catena, 100, born on October 27, 1918, in Agoncillo, Batangas, Philippines, passed away February 17, 2019. She resided in Los Angeles, California at the time of her passing. Arrangements are under the direction of Forest Lawn, Glendale, California. Maria Zayda Mascarenas Mazzilli, 83, born on December 28, 1935, in Boac, Marinduque, Philippines, passed away February 15, 2019. She resided in South El Monte, California at the time of her passing. Arrangements are under the direction of Forest Lawn, Glendale, California. Rodolfo Suarez Bautista, 71, born on December 18, 1947, in Guadalajara, Mexico, passed away February 14, 2019. He resided in Los Angeles, California at the time of his passing. Arrangements are under the direction of Forest Lawn, Glendale, California. Celie Mallari Abenoja, 65, born on August 4, 1953, in Guagua, Pampanga , Philippines, passed away February 13, 2019. She resided in Los Angeles , California at the time of her passing. Arrangements are under the direction of Forest Lawn, Glendale, California. Orfa T. Barros, 93, born on April 11, 1925, in Buena Vista, Santa Cruz, Bolivia, passed away February 13, 2019. She resided in Glendale, California at the time of her passing. Arrangements are under the direction of Forest Lawn, Glendale, California. Imelda De Cortez, 81, born on November 20, 1937, in Guatemala, passed away February 13, 2019. She resided in Los Angeles , California at the time of her passing. Arrangements are under the direction of Forest Lawn, Glendale, California. Rosalina Merida Abelar, 98, born on October 12, 1920, in Huehuetenango, Guatemala, passed away February 13, 2019. She resided in Los Angeles, California at the time of her passing. Arrangements are under the direction of Forest Lawn, Glendale, California. Margaret Muscarolas, 87, born on February 28, 1931, in Havana, Cuba, passed away February 13, 2019. She resided in Los Angeles, California at the time of her passing. Arrangements are under the direction of Forest Lawn, Glendale, California.